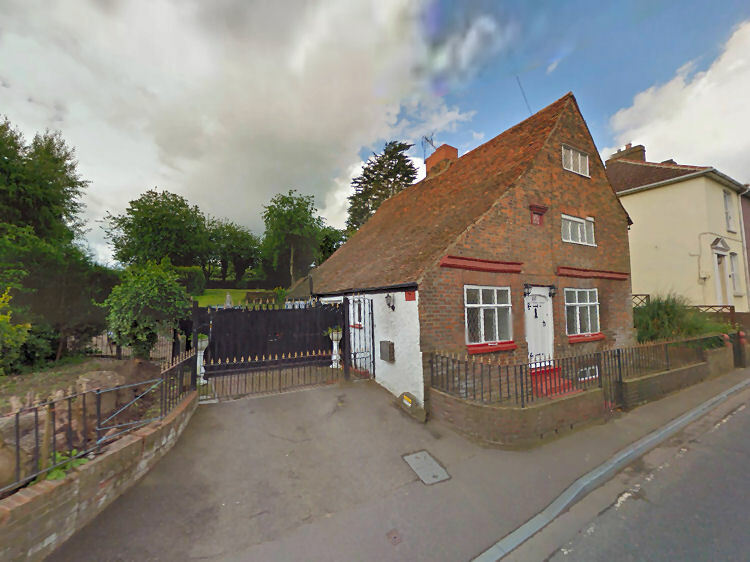 Above image from Google 2014 showing what is now called Lion House. The house, now titled Lion House was built in 1672 according to the sign on on the front. It's on the Main Street A2. The Lion House says it has tales of Tunnels Smugglers and Ghosts and Unexplained Happenings. Although the date on the front of the house says 1672, the ground floor is much older. The house was built by Thomas Abde who kept Hoys Barges on the creek at Lower Halstow. It is also stated in a book titled Newington Times Past By, that it had been a Paupers Ale House and reference given to the "Lyon" or "Red Lyon." The ground surrounding the house was called Lion Field and Lion Orchard. It is unknown when it stopped being a Paupers Ale House. The building has now gained a Grade 2 listing.